I’m a big fan of the Blessed Virgin Mary. As I’ve grown older, I’ve come to regard her not just as an ally and an intercessor, but as a model of everything I want to be: loving, resilient, and strong. But I’ve since realized that Jesus’ response is not what I thought it was. It is not a diss against Mary. It’s Jesus doing what Jesus does best: broadening the circle. 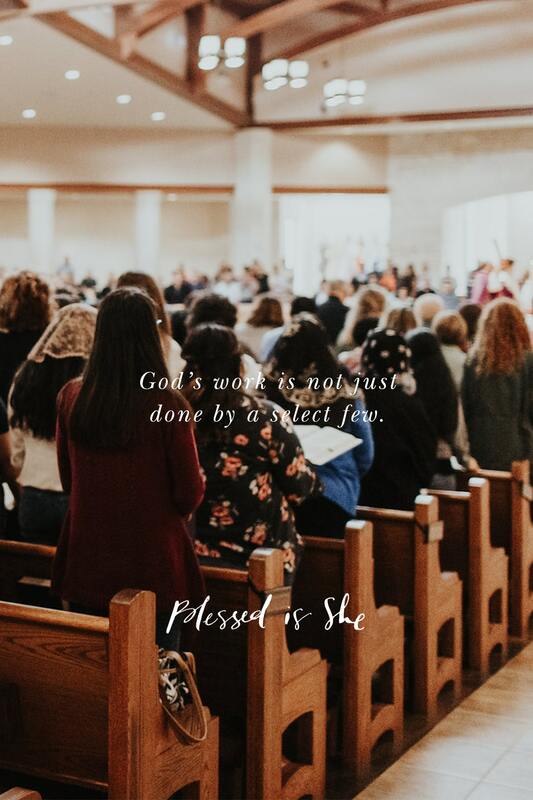 By redirecting the woman’s blessing, Jesus shows that God’s work is not just done by a select few. Only one person could be His mother, but every person on Earth can hear the Word of God and follow it. Mary was called in her own special way, but Jesus’ statement shows us that what makes her blessed is that she heard the word of God and followed it, an opportunity we all have. I’m not sure we always believe this. We humans are pretty good at seeing others as more special than we are. Oh, that person is holier than I am because he’s a priest. That woman is holier because she has eight kids, and I only have one. That person is holier because she hasn’t made the mistakes I’ve made. And on, and on, and on. This Gospel is a useful lesson that while we humans tend to have a narrow view of the world, Jesus has a wide one. We don’t need to be the mother of Jesus to be special. In fact, we don’t need to be a mother at all. We can be of any age, race, gender, shape; we can be single or married or religious; we can be artists or athletes or accountants or anything else. God’s work is not just done by a select few. Listen to God’s word, Jesus says, and follow it. And whoever you are: be blessed. Ginny Kubitz Moyer is a mother, high school English teacher, and BBC period drama junkie. She is the author of Random MOMents of Grace: Experiencing God in the Adventures of Motherhood and Mary and Me: Catholic Women Reflect on the Mother of God. Ginny lives in the San Francisco Bay Area with her husband, two boys, and about thirty thousand Legos. You can find out more about her here. Previous Post What Are You Thinking About? I see you live in San Francisco ~ I am praying for your community and hope you are safe from the fires. Thank you for your reflection today. Thank you so much, Debby. Where we live we are not threatened by the fire, though there has been so much smoke in the air this week that we’ve had to stay inside as much as possible. My heart breaks for the lives and homes lost. Thank you for praying.